This month from the 16th through the 24th I'll be meeting up with some friends in the Gap in SW North Carolina. Instead of taking a straight shot home to Michigan I've been thinking about taking the 'long way back', heading East through North Carolina to the Ocean, then North through Virginia, maybe Maryland, D.C., then through Pennsylvania and Ohio back into Michigan. 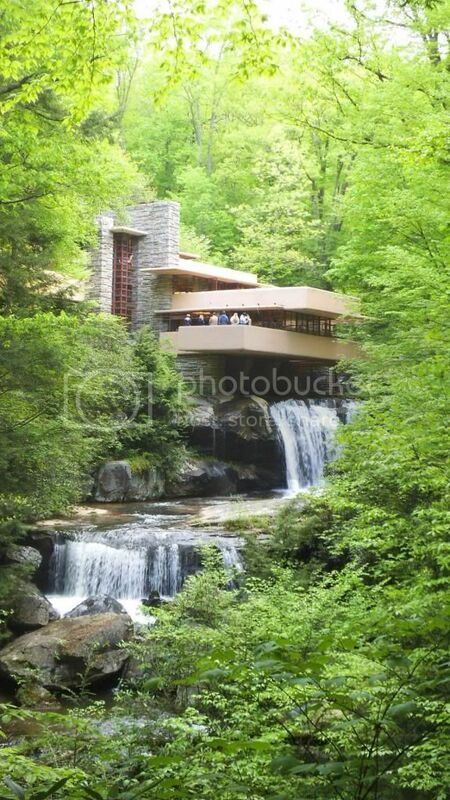 The only 2 musts are I want to see the ocean and also Frank Lloyd Wright's Falling Water in SW Pennsylvania. Other than that it's all tentative and I was thinking better to have you guys who may be familiar with those areas help me plan the route than just to map it out on my own. So if there's anybody here on my 'path of destruction' I'd appreciate some advice as to the places to see and best routes to take as I've never been out that way. And if there's anybody somewhat on that route that might like a visit just send me a PM and I'll try to work it into the trip. What a fantastic trip! If you are passing anywhere near Baltimore, DC, Annapolis and need to reach our for anything, I'll pm you a phone # to call. You are welcome to stop over, rest, get a bite to eat and look at some other bikes too. Depending if you are riding north along the eastern route or straight up 95, you might want to stop at Gettysburg. It is a profound place, bike friendly and don't miss the visitors museum. I passed on it for several years till my daughter insisted on going inside and I was amazed at the historical things that I hadn't known before that I learned there. Also, Great Falls on the Va side is an amazing park this time of year with the water levels high. Rapids, BIG rapids are on the menu there. Annapolis itself has a lot of history (can you tell what I like?) and a walk at the waterfront is a refreshing way to start any day. I don't have to tell you about DC but DC is a place I usually avoid when riding, too many "point and drive" drivers in there for me but every American should see some of the things at least once in their lifetime, like the real Declaration of Independence, The Lincoln memorial, the Wall and the great museums. I'm back from a great trip! Unfortunately my shoulder was bothering me so I didn't make it all the way to the Ocean but I did see some great things. Traveling on a GT always brings attention and I met some great people along the way. I rode from our rental house in North Carolina east to Asheville then North through West Virginia and into Pennsylvania, Then home to Michigan. The one big negative that happened was linked to my outdated GPS that tends to think it knows shortcuts that take me off the expressway into the backroads. That coupled with my GT's lack of an accessory charger ended in disaster Thursday night. Once it tells me to stay on a road for X miles I turn it off to conserve battery but after a full day of riding it couldn't take any more. So after it got me good and lost on backroads the battery died somewhere in SW Pennsylvania. I spent something like 4 hours trying to find my way out of the little town getting directions occasionally that were always followed by "That's the way but good luck if you're not from here" before finally throwing in the towel after dark, completely exhausted, and renting a room at the nearest motel. Then next morning with GPS fully charged I made my escape from Mifflin, PA. It was a great ride to Fallingwater along back country roads and forgotten towns. The house is the most famous example of Architect Frank Lloyd Wright's work. It sits atop a waterfall nestled into a rocky hillside. Well worth a visit. 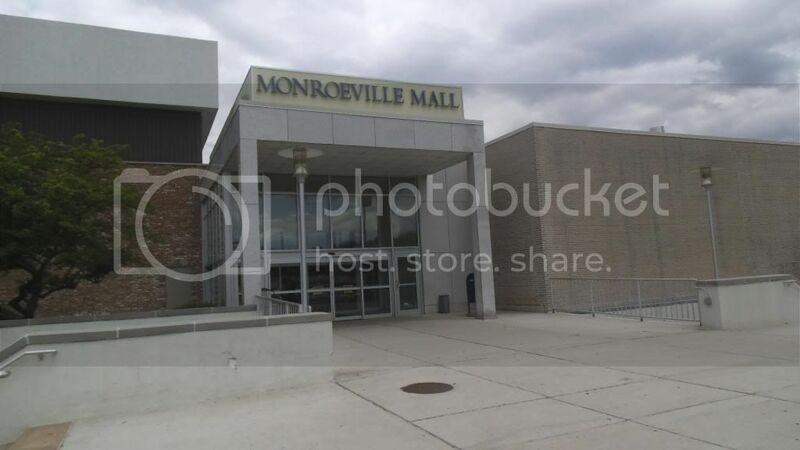 On my way home and just about an hour from Fallingwater I stopped at the Monroeville Mall. For horror buffs it was the filming location of the original Dawn of the Dead. I've seen the movie more than once so it was a lot of fun walking through the mall feeling like I'd been there before. I guess it's a regular occurrence there to see security guards chasing wannabe zombies out of the mall. So yeah, very memorable trip. I logged just under 3000 miles on the old Buffalo with everything from tearing up mountain roads to long 80mph expressway rides and it didn't give me a single problem. There are many more pictures and experiences to share and I'm sure Allan will post pictures of our rides in and around North Carolina. I wish I could have made it out to more of the places you guys suggested. Still hope to get to Maryland and the Ocean in the near future. Jabcb, Ohio is just next door to Michigan so I can definately plan a trip to the AMA museum. Thanks for the suggestion.